I searched for quite a while before I found a good applesauce recipe. Most call for all sorts of weird things. I really like this recipe because it is simple, basic and tastes great. First thing you will need is your apples. I used half Gala and half Granny Smith. They are much better if you use them before they get too soft. 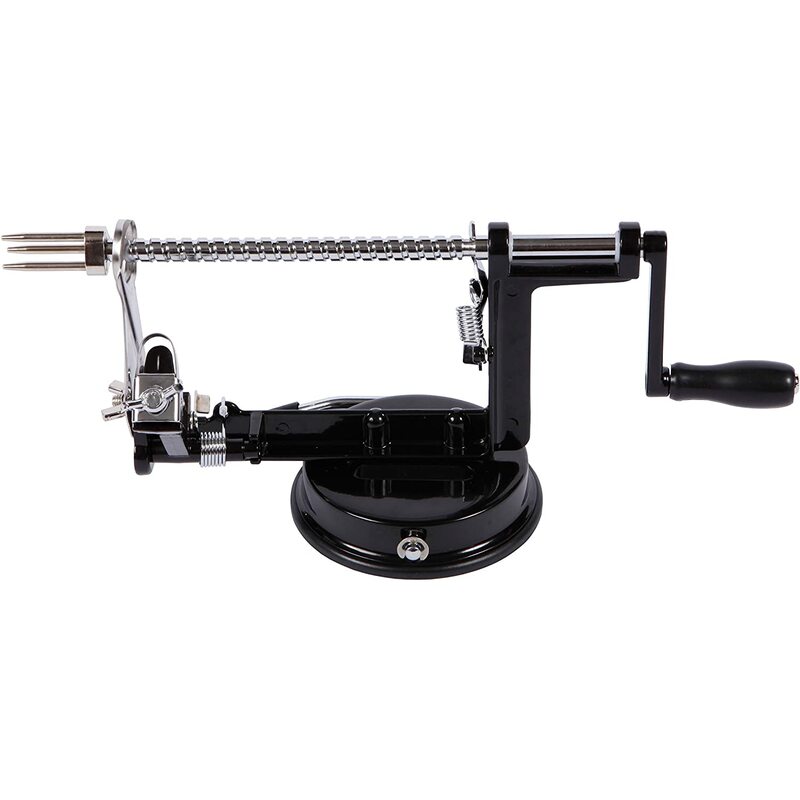 These slicer things make short work of peeling, slicing, and coring an apple. When you pull the apple meat off the device, just cut the whole apple coil in half, then throw it into the pot with the ingredients. There is no need to play games with adding things one at a time. Just toss it all in and put it on low heat to start cooking down. The hot applesauce will be a bit running, but it will be perfect to just jar up and can. I left about 1/2 inch of headspace on my jars and then water bath canned them. The 18 lbs made a little over 6 quarts of applesauce. The whole process took about an hour and half from start to finish. The best part is how great the applesauce turned out. 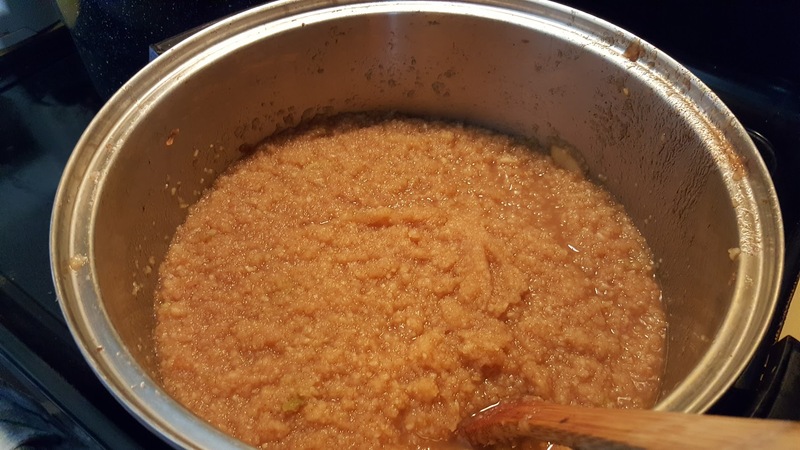 I don’t think that I have ever had any store bought or homemade applesauce that tasted better. As a side note, I do things a bit different with my cinnamon. I purchase the sticks in bulk and then grind it myself as I need it. 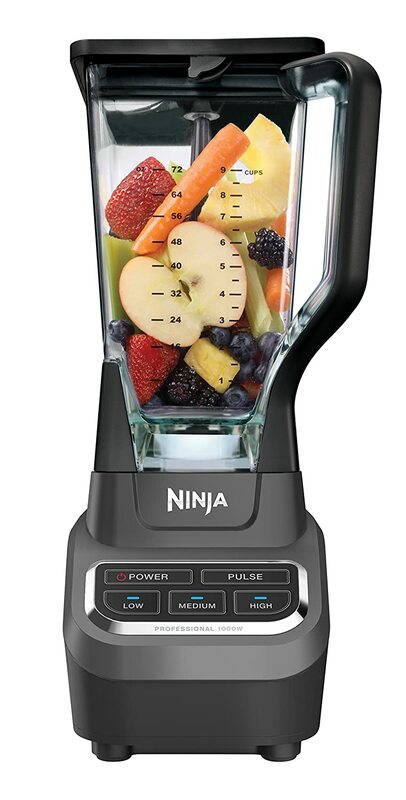 This gives a stronger taste without the bite that you get with the preground stuff in the stores. Even the smell is better. Have some fun and good luck. I am getting ready to can some peaches that we picked up in Wenatchee sometime this week. 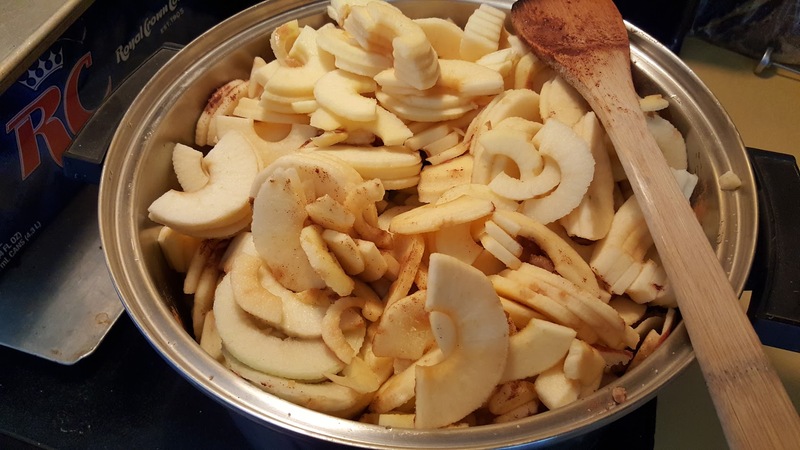 This entry was posted in DIY Projects, Emergency Preps, Miscellaneous and tagged apple sauce, applesauce, canning, home made apple sauce, Homemade applesauce on September 6, 2016 by Woodsbum.